One special night, a group of Unicornos were flying in the direction of falling stars. The falling stars were disappearing into a sparkly sea, which transformed them into starfish while changing snowflakes into jellyfish. They rode the tail of a shooting star into the magical sea, turning them into enchanting creatures of half Unicorno and half fish. 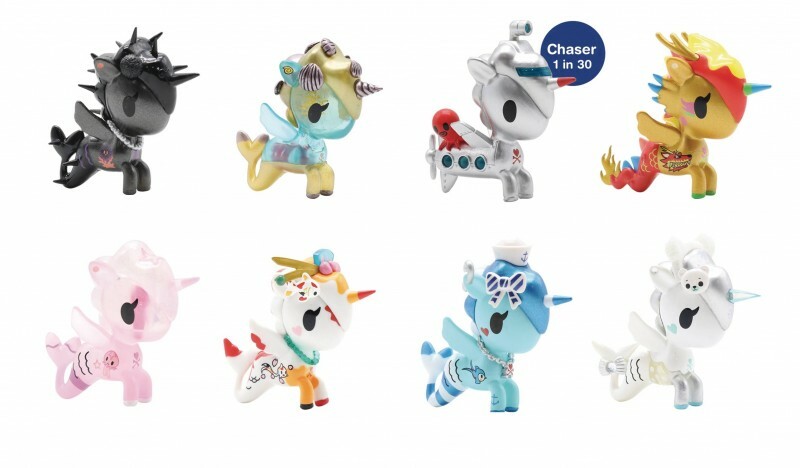 Tokidoki is excited to introduce 8 new characters to our Mermicorno family! Take the plunge and add these aquatic beauties to your collection today! Blind mystery box packaging.